On 30 November the Faculty of Law's Institute for Educational Law (IfU) invited delegates to a one-day conference on the theme of 'Equality in Education'. The conference was well attended, with some 130 delegates from both academia and society at large, such as representatives of central government agencies like the Swedish National Agency for Education, the Swedish Schools Inspectorate and Swedish Higher Education Authority, school heads, the Swedish Association of Local Authorities and Regions, teachers' unions and the Swedish Association of Independent Schools. The day began with three keynote speeches during the morning. After lunch 15 lectures and seminars took place in parallel, with the conference delegates choosing for themselves which seminars to attend. 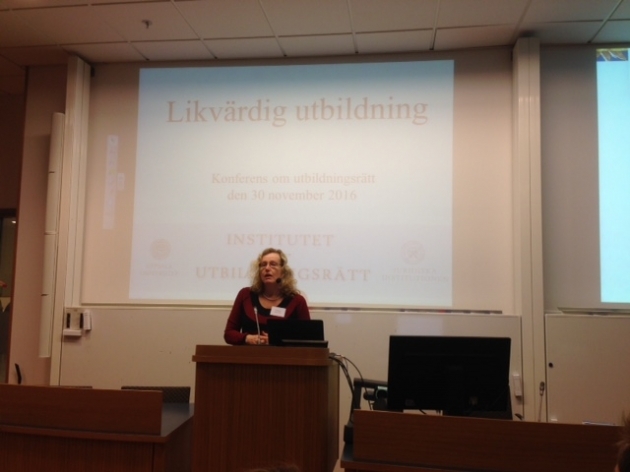 After an introduction by the Dean of the Faculty of Law, Professor Mattias Dahlberg, the first speaker of the morning was the Vice-Chancellor of Uppsala University, Eva Åkesson, whose address was entitled 'Equal Education: Utopia or Reality?' 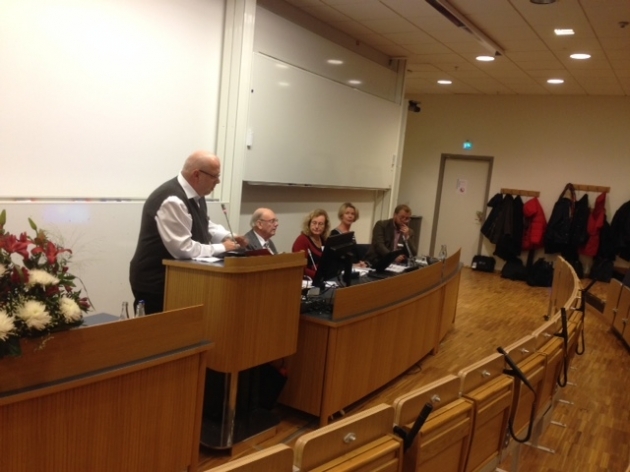 She was succeeded by Ulf P Lundgren, Professor Emeritus at the Department of Education, with his lecture 'From Equal Opportunities to Freedom of Choice: Reflections on Political Governance of Compulsory School'. Lotta Lerwall, Senior Lecturer (Associate Professor) in Public Law, concluded the morning session with her lecture 'Legal Perspectives on Equal School Education'. The conference ended with a panel discussion, followed by an opportunity for the audience to ask questions and express their opinions. The conference host, the Institute for Educational Law (IfU) at Uppsala University's Faculty of Law, seeks by the broadest possible means to inspire, support and pursue research and education in the field of educational law in Sweden, focusing on school and higher education. Last year Olle Lundin, Professor of Administrative Law, jointly with three of his researcher colleagues - Victoria Enkvist, LLD; Senior Lecturer (Associate Professor) Lotta Lerwall; and Gustaf Wall, LLD - received funding of some SEK 11.8 million from the Swedish Research Council for a research project on the theme of equality in school education.